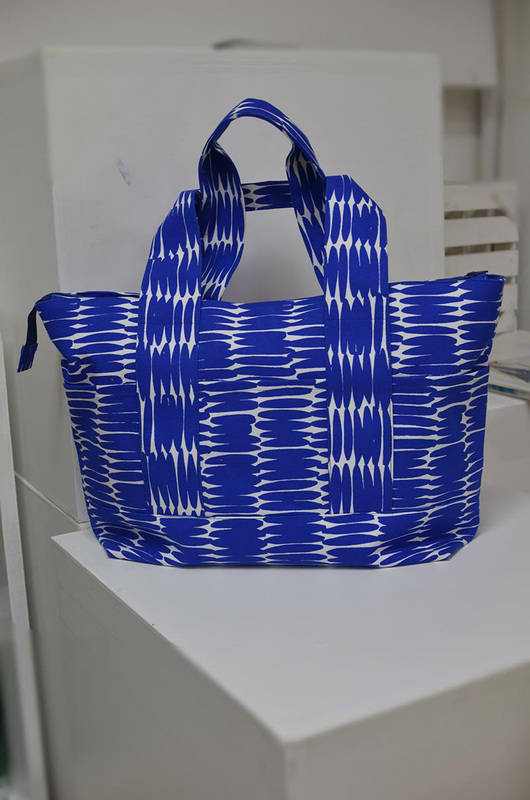 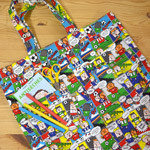 The featured project is a large tote bag with an ample gusset. 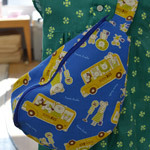 It is perfect for short trips and as a gym bag since the zipper top will hide the contents. 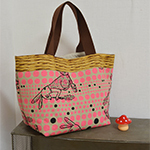 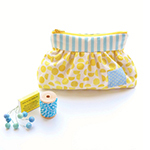 The fabric with the contemporary pattern is from see design, a brand by textile designer, Donna Gorman.